Two drinks and two errors from the barista. 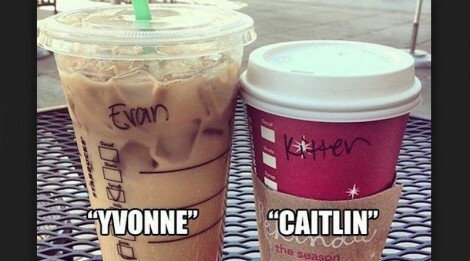 Yvonne became Evan and Caitlin became an animal! This barista may need some hearing aids, as they aren’t hearing things very well. 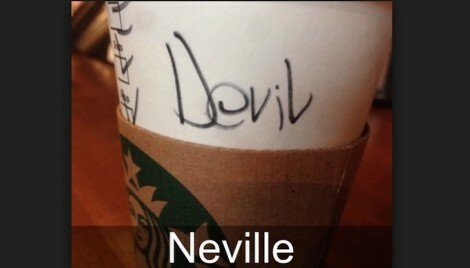 Someone must have been a little evil to the Starbucks worker, as they thought the Devil placed an order for a coffee with them! It’s close, so I give them the benefit of the doubt. Join us on Snark Food for all your celebrity news, gossip, photos, viral videos and much more! Subscribe to our Email and RSS or like us on Facebook and follow us on Twitter for all our latest updates.